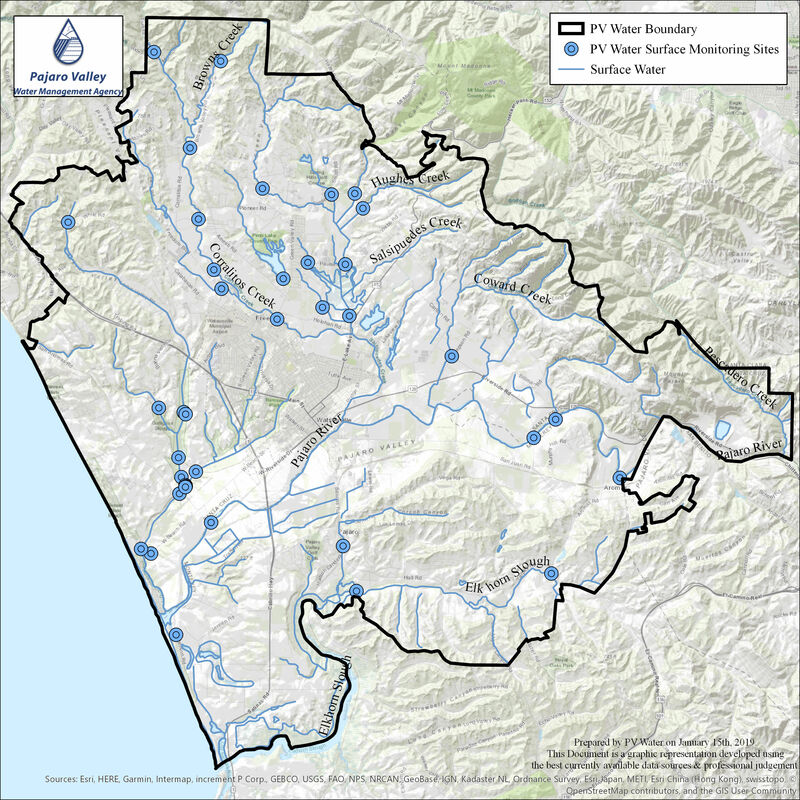 The Pajaro Valley Water Management Agency conducts regular surface water quality checks at the monitoring sites shown on this map. Data collected helps the PV Water’s hydrologists in their work to maintain water quality throughout the basin. There are three main watersheds located inside PV Water boundaries, they are Corralitos Creek Watershed, Carneros Creek Watershed, and Watsonville/Harkins Slough Complex. 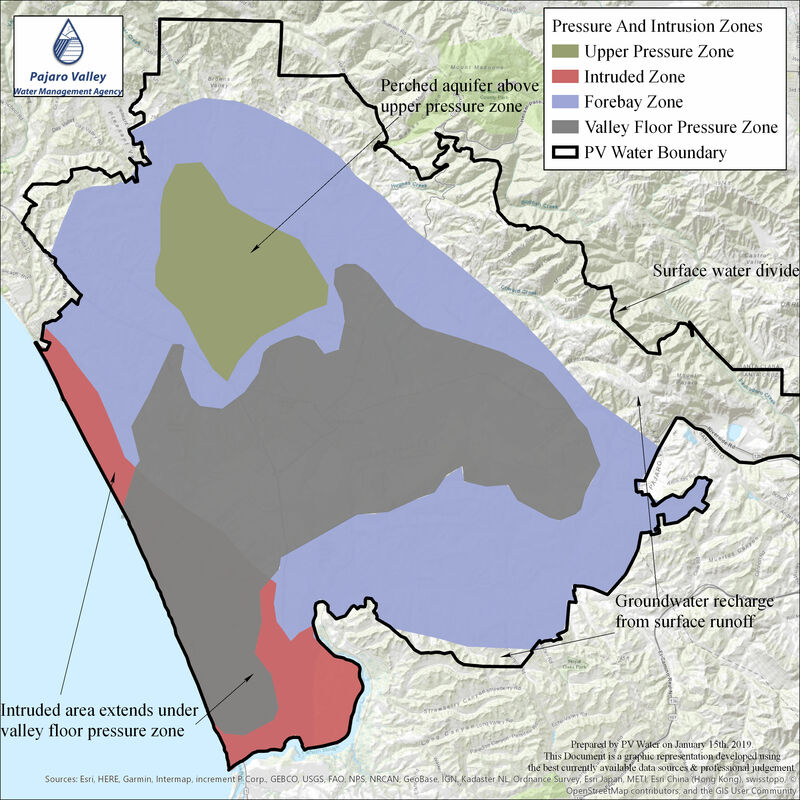 The Pajaro River Watershed extends east of PV Water into San Benito County and is 1,300 square miles in size. The area contributing to the flow in the Pajaro River is much larger than all of the local watersheds combined. PV Water monitors surface water in the watersheds for electrical conductivity, calcium concentration, magnesium concentration, sodium concentration, chloride concentration, carbonate and bi-carbonate concentration, sulfate concentration, boron concentration, nitrate concentration, iron concentration, manganese concentration, potassium concentration, turbidity, and in select locations pesticides and fertilizers. The Corralitos watershed is the largest single watershed located within PV Water boundaries. The watershed includes Corralitos Creek, West Branch Corralitos Creek, Rider Creek, Browns Creek, Green Valley Creek, College Lake, Salsipuedes Creek, Hughes Creek, and Casserly Creek. All of the flow in this watershed empties into the Pajaro River near Watsonville. 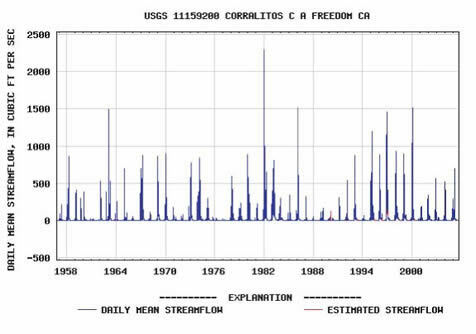 The average flow through Corralitos Creek measured at Green Valley Road is 11,350 acre-feet (AF).